Summertime: it’s the time of year when your Scouting adventures either get into full gear or stop until September. 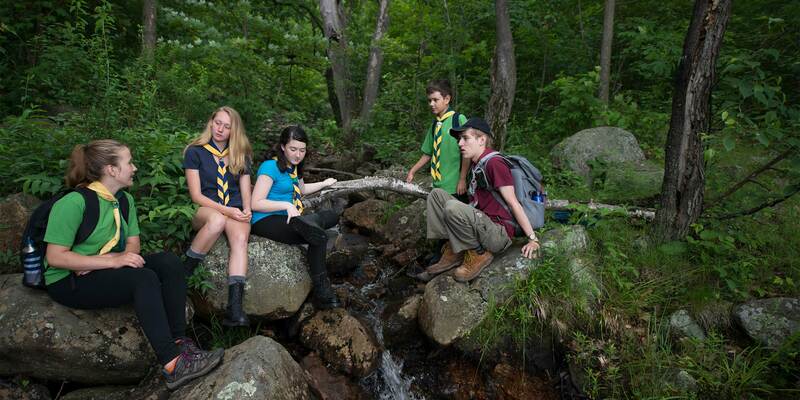 Why have a summer devoid of great Scouting adventures? The Canadian Path and the Trail Cards that come along with the program are there to help you. 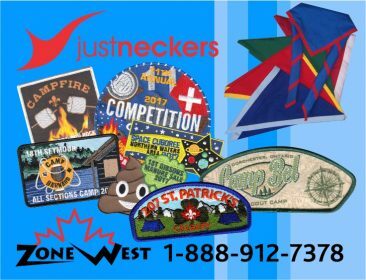 We all have that image of a summer camp experience filled with canoes and rock climbing so why not plan those adventures with your Section? The Canadian Path has four elements that make any adventure great. These elements are: Youth-Led, Plan-Do-Review, Adventure, and the SPICES. How do you create an amazing summer experience? Just stick to these elements. Let’s use the example of a canoe trip and apply each of the four elements to the adventure. Let’s start with Youth-Led. This should be obvious but it doesn’t always happen. Scouts Canada is an organization for youth, shouldn’t it be led by the youth we serve? This one is simple; youth decide what adventures they want to go on, and they divide that adventure up into pieces each of them can take on. Whether it’s planning one portion of the adventure or running point for the trip’s supplies, each youth member can and should participate in the process so that they are part of what comes out of the adventure, good or bad. If they own it, they are invested in its success. Plan-Do-Review: You have most likely already been following the Plan-Do-Review process, but now we have a formal name for it. This is how you can measure how successful your summer outing is. You can plan your adventure by writing out your to-do lists as a group, have everyone take on a task, and have a system to verify that each part is done. To do, simply execute and have fun. To review, meet after the adventure to discuss how it went. Go over the good and the bad, how you can improve, and incorporate this feedback into future outings. For our canoe trip example, you can plan by dividing up the tasks among the youth in your group. Someone can handle booking the campsite while another person reserves the canoes. Do by going on the trip, and review with the youth in your section after the trip is over – you may have realized that someone should have arranged a carpool and planned a better menu, for example. Adventure: this is what you’re planning right? Well of course it is, but is this a new experience or is this something your Section has done in the past that you are revisiting by changing some of the key components, such as the location or menu? Adventure means learning something new, taking on a different challenge, exploring and experiencing something outside of your day to day activities. For this canoe trip what’s new and different? You may decide on a different location, and Scouts may be attending that are new to canoeing. The youth that have experience canoeing can develop their leadership abilities by teaching watercraft skills. Bring the heat to your adventure with the SPICES. Allow the youth to develop their social, physical, intellectual, character, emotional, and spiritual abilities. You might not hit all of them in your outing but for this canoe trip you may decide to focus on the physical and spiritual components. 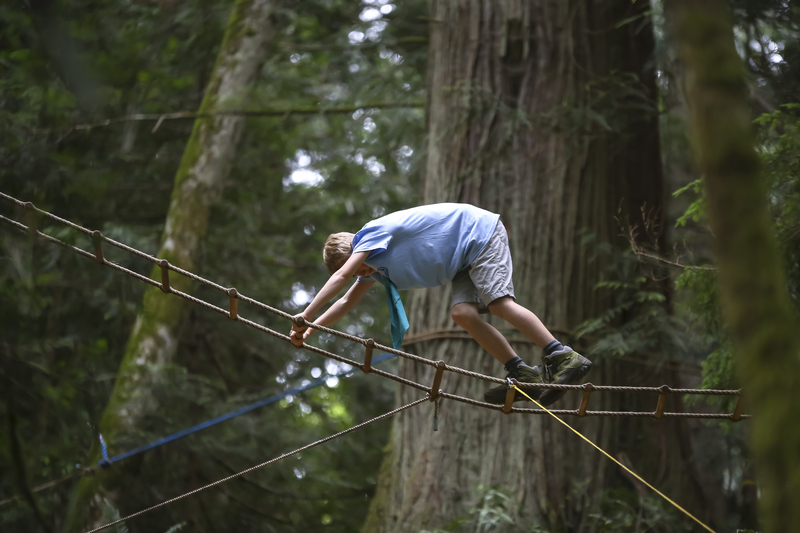 The physical is obvious but by disconnecting from the outside world youth can focus on nature and their connection to it. When planning your summer adventures bring these four elements to your meetings, trips and events. By bringing the Canadian Path to your adventure you are ensuring that it is one you will remember. Summer is coming, what do you have planned?